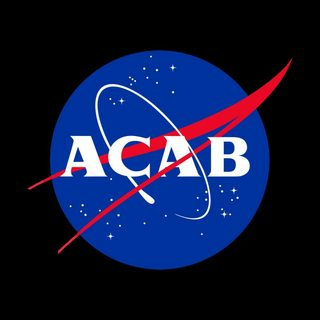 There are a lot of problems inherent in the institution of policing .... killing cops, while an extreme tactic, is a powerful way in which marginalized communities can authentically reclaim power and authority in order to resist tyranny through direct action. Some will argue that the role of police is not truly to ensure justice and safety, but, rather, to serve as the footsoldiers of capital : when push comes to shove, police side with the bourgeoisie and elites over the working poor. They enable and preserve dysfunctional power dynamics that produce crime. Few know this, but the institution of policing in the United States, land of liberty, began as an organization of slave catchers. Good ideology leads to good praxis. Cop has the power to instantly clear a town OR instantly condemn a mafia scum to death. This is incredibly OP as a skill; the mere presence of cop reports already give town an immense advantage over the scum. And in a very deep sense, this OP role is bad for gameplay: when village gets their easy clears / easy scums, the need to scumhunt is absolutely abolished. A scum counter-claiming cop only stacks the cards higher in town's favor, because it gives them a 50/50 for finding a scum. In contrast, the vig is not given any special clues as to who to shoot. They generally can't and don't claim their role. This contrasting nature of the vig and cop means that, given one or the other, a game with 1 or more vigs will always have more intense "scum hunting" than a game with 1 or more cops. Mafia is a game of psychology. The most zealous fans of Mafia will insist that it is "scum hunting" that really defines the game, and the art of "scum hunting" is what demands talent and rewards skilled players. So for people who want to play genuinely interesting and challenging games of mafia, the need to remove cop is obvious. I know, I know, the practice of "cop worship" is widespread in the mafia community. If my political & technical appeals to you about "killing cops" don't sway your opinion, let me finally resort to artistic appeals. Please listen to these elegies from marginalized communities with an open mind. 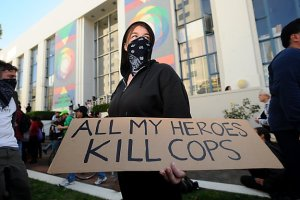 Together, we can move past boot-licking and live in a better world by killing cops. Last edited by crusty on Sat Dec 01, 2018 6:00 pm, edited 1 time in total. Are you hard claiming cop? MS shitposting quality has been so low lately. This is refreshing. In post 5, Agent Sparkles wrote: MS shitposting quality has been so low lately. This is refreshing. I’m eagerly anticipating the thread, about the pros and cons of playing to one’s wincon. Is this supposed to be in Speakeasy? isnt that already kind of the speakeasy? That’s an ISO of me. I thought you weren’t allowed to discuss ongoing games. You really shouldn’t have posted this. It's of all your posts though. In post 16, Creature wrote: It's of all your posts though. That isn’t the point though. It would have been fine, if he referenced my posts from a past game. He just shouldn’t quote anything from an ongoing game. Are you suggesting I shitpost as a regular part of my playstyle? I think he was suggesting you just shitpost in general. In post 18, Creature wrote: I think he was suggesting you just shitpost in general.